A Lonely Club For Women In Top Army Jobs Heidi Brown's Army uniform is decorated with one small star, which marks her as a brigadier general. But at this point in her career, she's not sure how much higher she can climb. And she doesn't see many women coming up behind or above her. "Gender now shuts the door for me," she says. An NPR series looks at what it means to be a woman in uniform today. Army Brig. 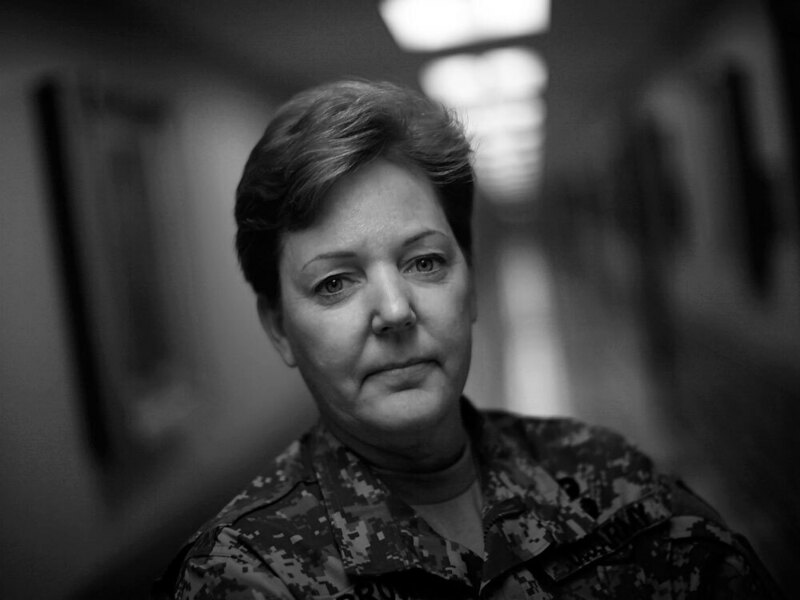 Gen. Heidi Brown, shown here at the Pentagon: "Gender now shuts the door for me." Heidi Brown's uniform is decorated with one small star, which marks her as a brigadier general in the U.S. Army. But at this point in her career, she's not sure how much higher she can climb. "We haven't had a woman division commander, corps commander, chief of staff of the Army, vice chief of the Army, chairman of the Joint Chiefs of Staff. Why not? I do see that the opportunities are limited," she says. Only one woman has been promoted to four star general. That was Ann Dunwoody in 2008. But Brown points out that Dunwoody rose through the ranks in logistics, not in a combat function. Not all four stars are created equal in the military. The ones from combat arms tend to get the most elite jobs. Brown works in Air Defense Artillery, one of the only combat units in the Army that does allow women. "In 2003, with the initial invasion into Iraq, I commanded a brigade. And I was the only woman that commanded and have been the only woman who commanded a combat arms brigade in combat. Still," Brown says. So Brown is in a strange spot. She has climbed the career ladder to a point where there aren't any women coming up right behind her, but she doesn't see a lot of women above her, either. "When I was selected to command my brigade, I got great advice from my mentor. He said, 'It's going to feel really lonely. It's lonely anyway, but it's going to feel really lonely because it's just you and then the other male brigade commanders,' " Brown says. "I'm female, I'm single. They're all male. They're all married. They all have kids. I have a dog." Brown points out that a lot of women abandon the military career track. They make other choices in their lives, maybe want to devote more time to family, and they stop being competitive. But she says the women who are ambitious and want the top leadership positions are handicapped by the Pentagon's policy that bars women from being assigned to units whose primary mission is to engage in direct ground combat. Earlier in her career, a battalion commander wanted her to be his operations officer. But when he went to file the paperwork he was told that the position was "coded out to women," which meant that no woman could have that job because she'd be working for a unit involved in direct combat. The whole thing still annoys Brown, and she bangs her fist against the table when she talks about it. "I could be an intel officer. I could be the supply officer. I could be the executive officer. I could not be the operations officer. It was coded out," Brown says. There were other instances in her career where gender came into play — and not in a good way. It was 1983. She was a young lieutenant in Germany on her first deployment, and she had a commander who liked to drink a lot. "I just remember one night, he got drunk and was pounding on my door saying, 'You blankety-blank. You know you want it. Open the door,' " she says. Brown called another officer, who came over and sent him away. Later, the man came back and banged on her door again. Again she called her friend, and this time he knocked the man around a little bit. Still, Brown was furious. The next morning she walked into the commander's office, looked him in the eye and told him, "You ever do that again, I will destroy you." That was almost 30 years ago. 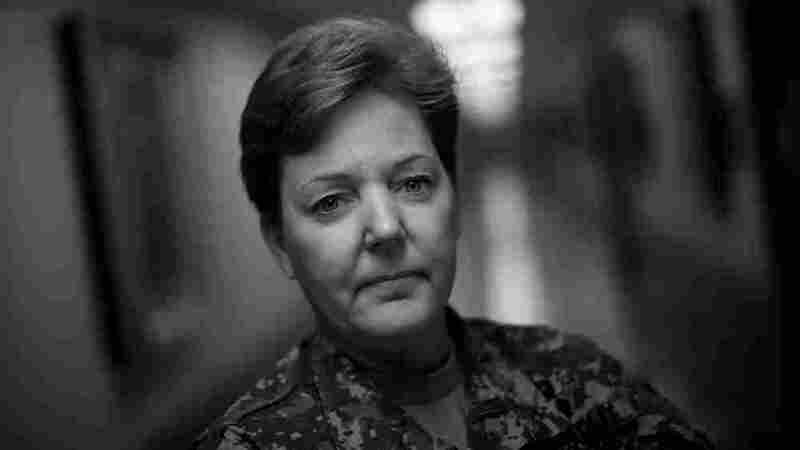 Since then, Brown has worked her way up the chain of command, from major to lieutenant colonel, colonel and, finally, in 2008, she was pinned with a star and made a brigadier general. But, she says, "Gender now shuts the door for me." Brown says it's almost impossible to get on the promotion fast track in the Army without leading troops in ground combat, which women aren't allowed to do. She doesn't think the solution is to open up all of the combat arms to women. Instead, she thinks serving in elite combat arms groups should no longer be a prerequisite for the top military jobs. She wants to be the commandant of West Point, her alma mater, but that job has typically been held by an infantryman. Brown says what matters isn't job or gender but a demonstrated ability to lead. For her, that test came in 2003 in Iraq. One of the units under her command was ambushed. There was a firefight, and nine of her soldiers were killed. There was nothing Brown could have done to prevent the ambush. But now she had to set an example for her troops. A couple of days after the incident, she met up with the unit's battalion commander. "I had my driver drive me over to him, and we just bear-hugged one another and he wept. And I let him, and I just bit my lip because I knew that I needed to be strong. Did I want to? You bet I wanted to cry," Brown says. But as a woman, she felt that she couldn't. That was eight years ago. Brown is working in the Pentagon now — far from the stress of combat — but she still has ambitions. What would she do if she were offered one of those top jobs that she says women should get a shot at — division commander in Afghanistan? "Could I do it? I think I could. Would it be difficult? You bet. Probably the hardest thing I would ever do in my life. I would want to make sure that I was physically [and] emotionally prepared, because failure is not an option," she says. Because when you're the first and you fail, she says, chances are you'll be the last.